Technology progresses and tools become ever more sophisticated, but for angled cuts, the miter box still rules. 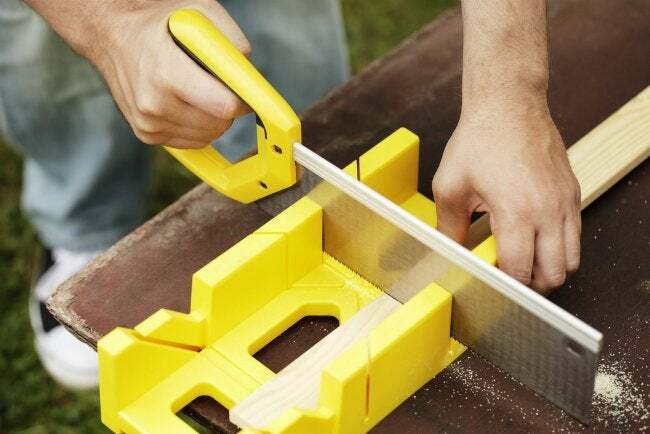 If your next do-it-yourself woodworking project involves making angled cuts, then get to know the miter box, as this timeless tool may soon become your best friend. Typically made of thick plastic or wood, miter boxes are shaped a little like a lidless shoebox with the ends cut out. There are multiple angled slots on the sides of the box, each lining up with a slot on the other side. Miter boxes are designed to be used with miter saws, tools with teeth set for crosscutting (cutting across the grain of the wood). In simplest terms, you just mark your workpiece where you want to make the cut, slide it into the miter box, position your saw into two corresponding slots that match your mark… and saw away! Miter boxes work best when secured to a workbench, with the workpiece battened down with clamps. Another option is to fasten the box to a small sheet of plywood, clamping the edges of the plywood to your bench. Employ either technique, and your work shouldn’t wiggle.